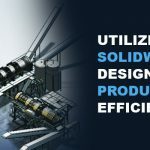 Every year SolidWorks introduces new features in its flagship software to further continue delivering excellent solutions to engineers across the globe. 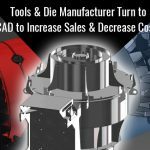 The new features in SolidWorks Simulation 2016 are yet another way of helping the design community to bring quality products for their end customers. 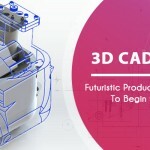 SolidWorks 2016 offers the ability to analyze the contacts and boundary conditions and verify whether the bodies are sufficiently constrained or not. 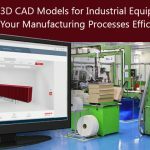 This tool will review the degrees of freedom for the bodies, and through animation you can view and identify bodies under constraints prior to running any simulation. To use this, open the Contact Visualization Plot Property Manager, and click the Unconstrained Bodies tab. 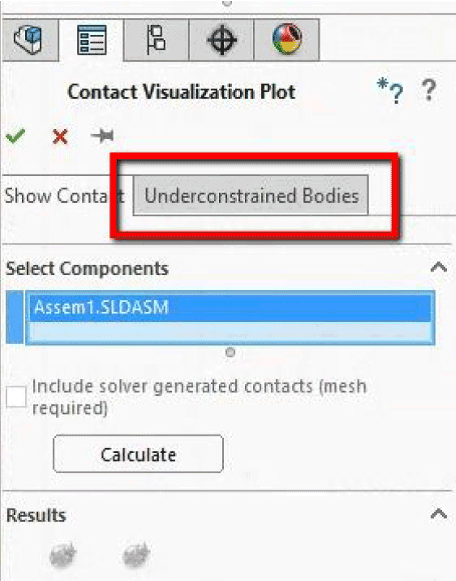 Click the Calculate button to detect bodies that are under constrained. A simulation will run using the Direct Sparse Solver will all defined loads, contacts and boundary conditions and will give a feedback. 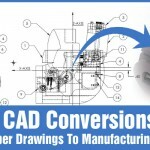 If the tool detects any under constrained bodies that can translate or rotate freely, it will list them along with the active degrees of freedom. However, there are certain requirements prior to using the tool properly. The solid bodies included in the simulation must be assigned material. Also, the tool does not detect instability related to components containing no penetration contacts or bolt connectors. If these requirements are not met, even properly constrained bodies will be seen in the list of unconstrained bodies. With Mesh Sectioning tool, you can check the quality of internal mesh and make adjustment to mesh settings before pre-running the simulation to check the mesh quality. 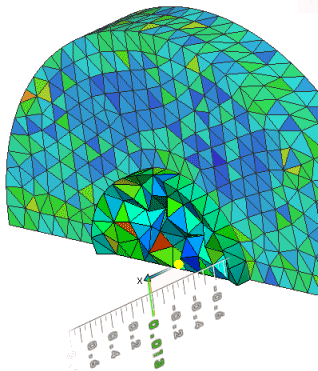 The new tool lets you create a mesh sectioning plot from a mesh quality plot and allows you to check the quality of internal volume filling elements. To use it, you will need to create the mesh first and then right-click the mesh quality plot and click on Mesh Sectioning. In the Mesh Section PropertyManager, select the reference plane or cylinder for the orientation, similar to what you do with the regular SolidWorks Sectioning tool. This tool can be used for all three mesh plots (Mesh, Aspect Ratio and Jacobian). SolidWorks Simulation 2016 includes a new Blended Curvature-based mesher that uses improved algorithms to provide high-quality surface mesh. You can use this mesher to mesh models that failed to mesh with the standard mesher. It includes all the mesh settings and options that you specify for the standard curvature mesher such as element size, minimum element size, minimum number of elements in a circle and element size growth ratio. To use this mesher, go to Mest PropertyManager and select Blended Curvature-based mesh. You need to ensure that the local mesh control settings for maximum element size and minimum element size should be within the range of values specified for the global mesh settings. Apart from these three improvements, SolidWorks 2016 now also has the ability to mirror results for symmetrical models in flow. To use this feature, the project must be setup with one symmetry plane in the Computational Domain PropertyManager. After running the project with these settings and defining the cut or surface plot, there will be new option available called “Mirror Results” in the PropertManager tab. This feature allows the model to be simulated with half the computational power. However, it is important to ensure that the other half portion of the symmetry model is subjected to similar boundary conditions, to avoid any chances of misinterpretation from the results. About Author: Prahlad Parmar is an Engineering Specialist working at Mechanical 3D Modelling for the past 4 years. He caters critical engineering challenges with ease and performs exhaustive procedures to develop robust, well-engineered and high performance designs. He can always be found in the lab discussing, brainstorming and tweaking designs.